Our new adapters provide a simple method of standardizing cuff purchases across your entire institution. 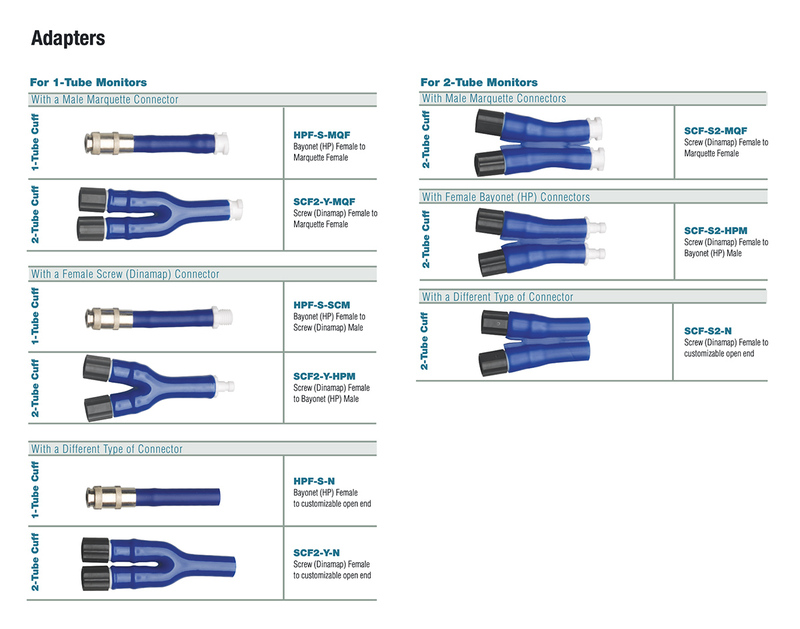 Just identify the type of connector currently on your monitor and match it to our one-tube or two-tube adapter solution. Common configurations are provided in the Model Options link above; custom adapters are also available.